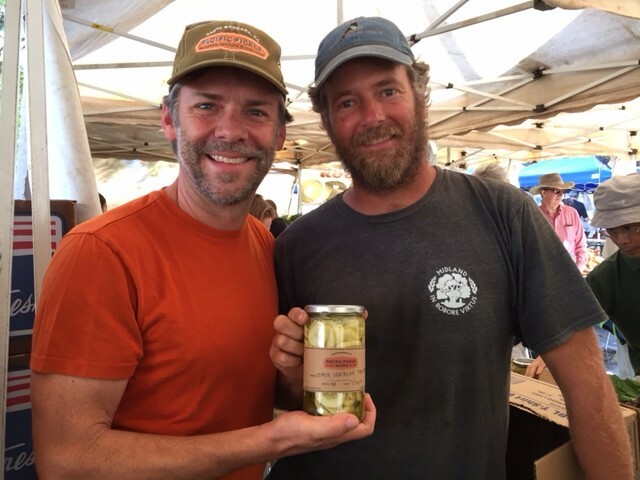 This week, the regional specialty in the Real Food Boxes is a limited edition pickle which is a collab between some of my very favorite Santa Barbara area vendors. Brad Bennett, the principal pickle of Pacific Pickle Works concocted this pickle with unique, white ‘salt & pepper’ pickling cucumbers from Jacob of Roots Organic Farm (also the grower of the dry-farmed tomatoes and corn on the cob in this week’s box), accented by lemon verbena and thai basil herbs from BD of Earthtrine Farms (where we source the majority of our herbs), serrano chiles from Scott of Peacock Farms (remember last week’s Peacock Farms walnuts?) 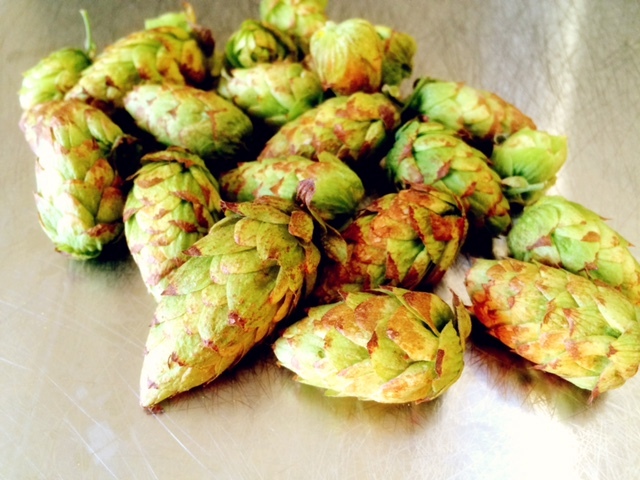 and featuring estate grown whole cone Cascade hops and Santa Barbara Pale Ale from Brad’s neighbors just blocks away at Pure Order Brewing Company. Brad Bennett, on the left, Jacob Grant on the right. Special Edition pickles in the middle! 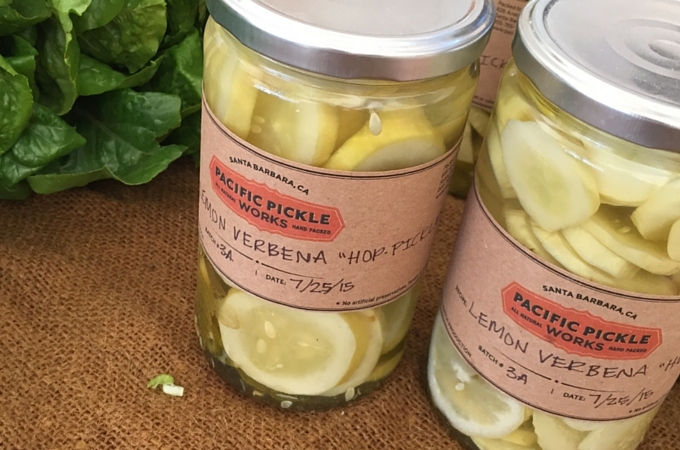 We love the community aspect of this pickle, and you are also going to love the flavor!